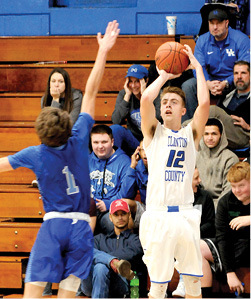 Jackson Harlan has been named to yet another All-State boys’ basketball team on a First Team level, this one perhaps being the most prestigious and coveted list in Kentucky – the Courier Journal All-State Boys’ Basketball team. Voted on by basketball coaches from across Kentucky, the CJ All-State team voting saw 93 coaches return ballots this year. 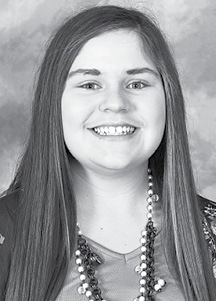 The news of this latest accolade for the 2019 CCHS basketball standout came just a couple of weeks after being named to the Lexington Herald-Leader’s All-State basketball team, as was reported in the Clinton County News, March 28, 2019 edition. 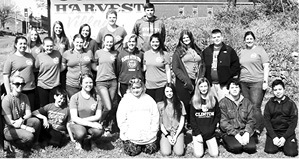 The Albany Lions Club recently served the community by purchasing six HP Chromebooks for the students at Albany Elementary School. Our Egg Coloring Contest was a huge success! We had a total of 287 submissions, from people ages three to 84! 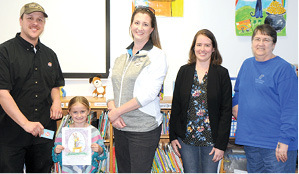 Overall, the Kindergarten age group participated in the highest numbers, with 125 total submissions. The 7th grade age group also had plenty of representation with 62 submissions. 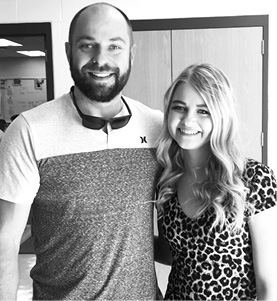 The Center for Rural Development has selected Clinton County High School student Abbi Young to participate in the 2019 Rogers Scholars program. 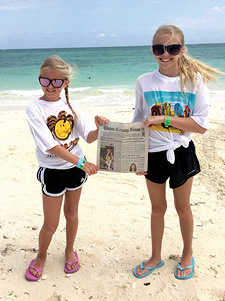 The Clinton County News enjoyed taking a spring break trip last week with the Messer family of Albany, traveling to Freeport Grand Bahama Island. The Webb School recently announced its A and B honor rolls for the third quarter of the 2018-2019 school year.